Prevent scratches on your fifth-wheel's skid plate and ease trailer hookup by installing this nylon lube plate. 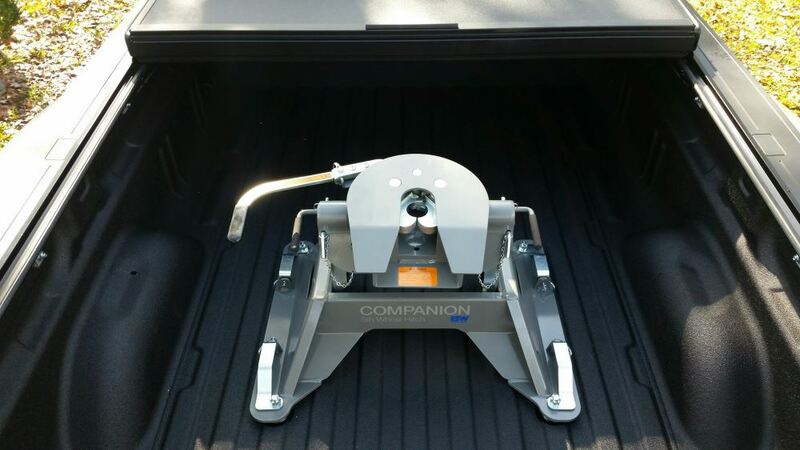 Works with Reese 16,000-lb, 22,000-lb, and 30,000-lb fifth-wheel trailer hitches. 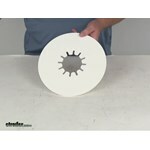 Call 800-298-8924 to order Reese accessories and parts part number RP83002 or order online at etrailer.com. Free expert support on all Reese products. Guaranteed Lowest Price and Fastest Shipping for Lube Plate for Reese 5th Wheel Trailer Hitches - 10" Diameter. Accessories and Parts reviews from real customers. Today we're going to review part number RP83002. 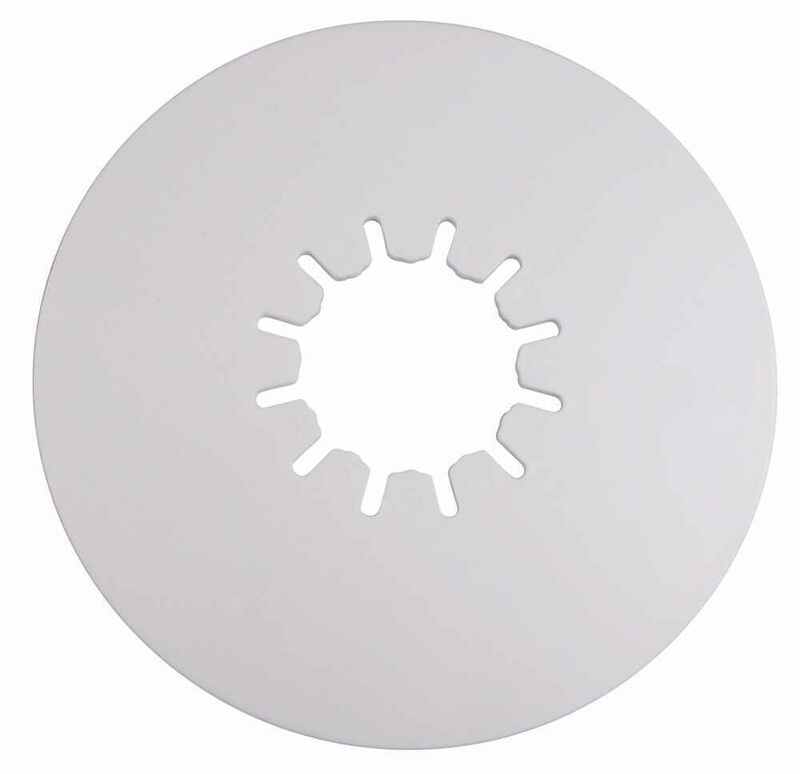 This is the Reese Lube Plate for Reese 5th Wheel Trailer Hitches in a 10" diameter. This lube plate will prevent scratches on your skid plate of your 5th wheel trailer hitch and let's your trailer king pin slide into the hitch with ease. There's no need for any messy grease. The lube plate gives you the lubrication you need. It does offer extra protection with the large surface area and it is constructed of very durable nylon material. Just to give you an idea, this is what the king pin would look like that's on your pin box of your trailer. 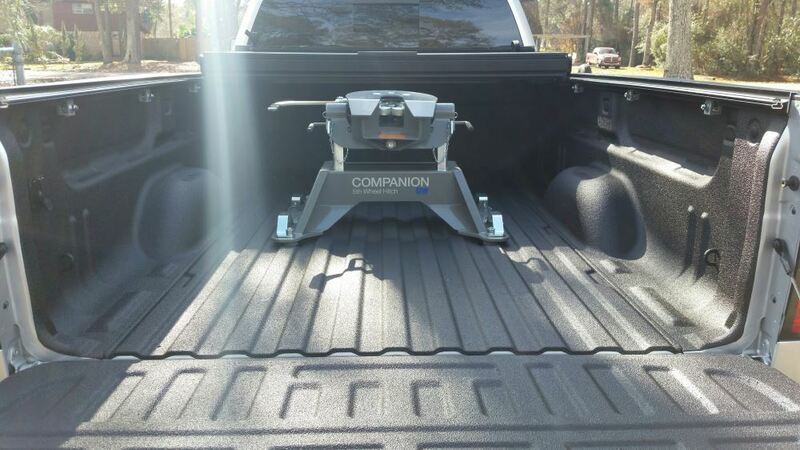 All you need to do is before you connect to your 5th wheel hitch, put your lube plate on there and then that'll slide into your 5th wheel hitch and give you the protection and lubrication that's needed. Again the application on this is for Reese 5th wheel trailer hitches with 16,000 pound and 22,000 pound capacities. A few dimensions on this. The diameter again is 10" and the thickness on the plate itself is 3/16". That should do it for the review on part number RP83002, the Reese Lube Plate for Reese 5th Wheel Trailer Hitches in 10" diameter. .
Order: RelevanceNewestRating - High to LowRating - Low to High Prevent scratches on your fifth-wheel's skid plate and ease trailer hookup by installing this nylon lube plate. Works with Reese 16,000-lb, 22,000-lb, and 30,000-lb fifth-wheel trailer hitches. THE REESE 5TH WHEEL LUBE PLATE IS WORKING JUST FINE. ITS A VERY HEAVY DUTY PLATE, AND IM SURE IT WILL LAST A LONG TIME. I WOULD HIGHLY RECOMMEND ETRAILER FOR ALL TRAILER NEEDS. This lube plate has been installed but only briefly used. Ive used larger ones on my big class 8 trailers and they work fine. It does the job and eliminates the need to grease a 5th wheel hitch plate which keeps things much cleaner. Great after a year still doing its job. Excellent, works like a charm and all I grease is the pin. 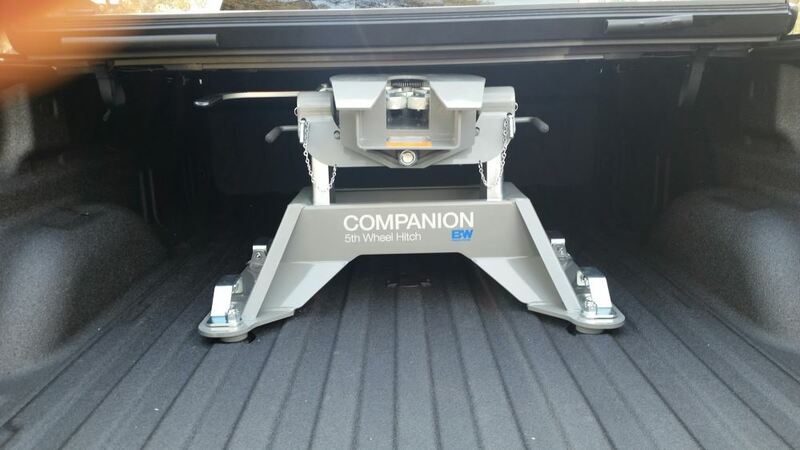 For a B&W Companion hitch like the part # BWRVK3600 I recommend using a 10 inch diameter lube plate. We have the Reese Lube Plate, # RP83002, which is my top choice, and the Curt 10 inch Fifth Wheel Trailer Hitch Lube Plate, # 16721, both of which will work nicely with your Companion hitch. B and W recommends the use of a lube plate so we also recommend it. For a B&W Companion hitch I recommend using a 10 inch diameter lube plate. We have the Reese Lube Plate, # RP83002, which is my top choice, and the Curt 10 inch Fifth Wheel Trailer Hitch Lube Plate, # 16721, both of which will work nicely with your Companion hitch. B and W recommends the use of a lube plate so we also recommend it. 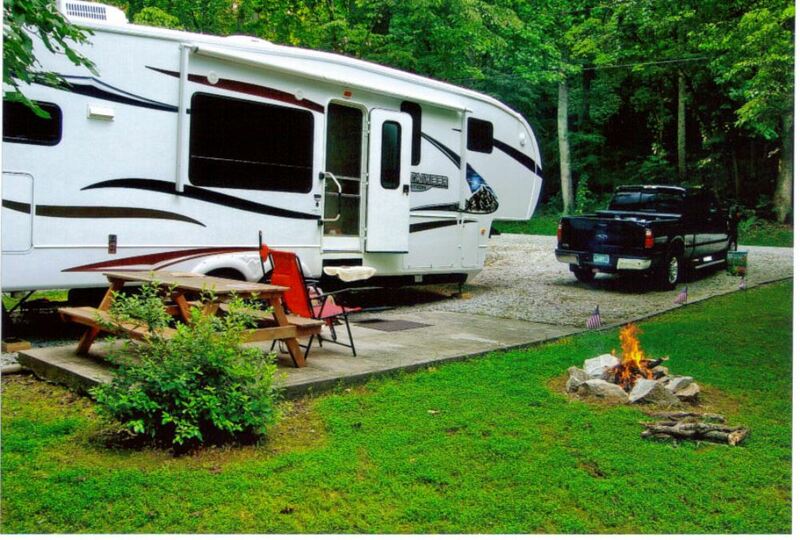 Yes, with the Reese Low-Profile 5th Wheel Trailer Hitch # RP30054 can use a lube plate. The correct replacement lube plate is part # RP83002. Or, you can use a heavy automotive grease according to the installation instructions I attached for this hitch. The proper size Lube plate for use with the B and W Companion hitch is a 10 inch diameter lube plate. We carry two lube plates this size. The Reese Lube Plate for Reese 5th Wheel Trailer Hitches - 10 inch Diameter, item # RP83002, and the Curt 10 inch Fifth Wheel Trailer Hitch Lube Plate, item # 16721, will both work with your Companion hitch nicely. The only lube plates we offer are ones that go around the king pin. I suggest a 10 inch lube plate on your B&W Fifth Wheel Hitch. The Reese # RP83002 is a great choice. There's also a Curt # 16721. Both will work just fine with your hitch. It sounds like you need a new lube plate for your Demco 5th wheel slider hitch. You can use 10-inch diameter Reese lube plate # RP83002 instead of grease for less mess. When using a lube plate like # RP83002, you can still grease the king pin to help with movement inside of the hitch. Using a lube plate eliminates the need to grease the skid plate on the hitch and the underside of the pin box. When greasing the hitch face and king pin face, it can get quite messy. The lube plate eliminates the need to grease both of these components and helps keep them cleaner. I have attached a review video of the #RP83002 lube plate for you. 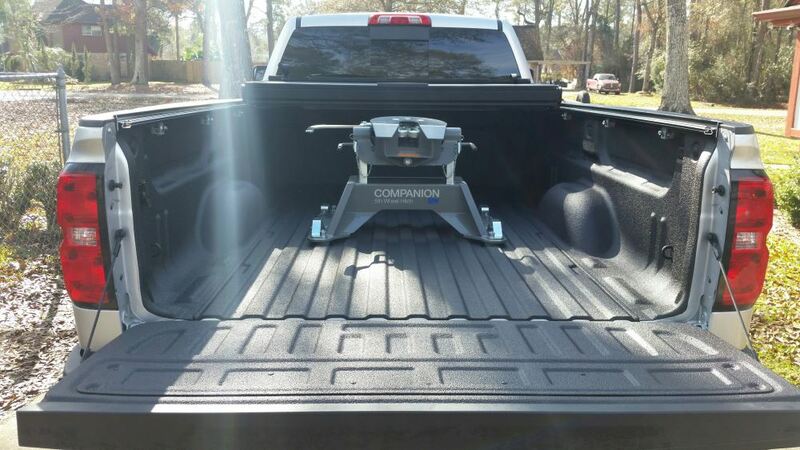 The Pro Series 15K Sliding 5th Wheel Hitch # PS30094 can use 10-inch lube plate # RP83002. This is a less messy alternative to hitch lubricant products like bio-based grease. The proper size Lube plate for use with the B and W Patriot hitch is a 10 inch diameter lube plate. It is recommended to use one. We carry two lube plates this size. The Reese Lube Plate for Reese 5th Wheel Trailer Hitches - 10 inch Diameter, item # RP83002, and the Curt 10 inch Fifth Wheel Trailer Hitch Lube Plate, item # 16721, will both work with your Patriot hitch nicely. Installation of the Reese Fifth Wheel Lube Plate # 83002, is accoplished by just pushing the disc onto the trailer king pin. The serrations in the disc allow it to flex and form a friction fit against the pin box around the base of the king pin.